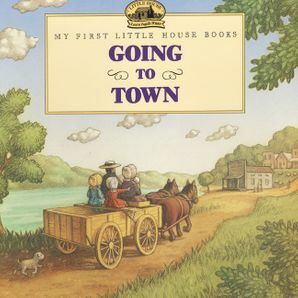 With the My First Little House picture book series, the youngest readers can share in the joy of Laura Ingalls Wilder’s Little House books in these illustrated adaptations of the beloved series! One spring day Pa has a wonderful surprise—he is taking the family on a trip into town! Laura is very excited, for she has never been to a town, and this special visit is everything she imagined and more.